If you wanna enjoy your Holidays at the Disneyland Resort then you should enter into the CBS Disneyland Contest Giveaway right now where you could win a family 4-pack of 1–Day, 1-Park admission tickets to DISNEYLAND Park or Disney California Adventure Park. How To Enter: You must watch CBS2 Morning News between 4:30am – 7am Monday during the contest period for code word, And once you know the cbs code word now go to this link and follow the online instructions to register by entering all information requested on the registration form. 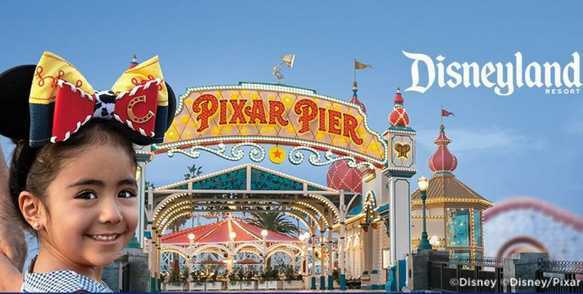 Prize(s): There will be total twenty three (23) lucky winners in this Sweepstakes and each lucky winner will receive a family 4-pack of 1–Day, 1-Park admission tickets to DISNEYLAND Park or Disney California Adventure Park. ARV of each prize is:$596.!! Who Can Enter: This Sweepstakes is open only to legal residents of the Southern California who have reached the age of 18 years old at the time of entry. When To Enter: The Sweepstakes entry begins at 9:00 a.m. Eastern Time (“ET”) on Apr 22, 2019 and all entries must be received by 11:59 p.m. ET on May 22, 2019. Who’s Sponsor: The CBS Disneyland Contest Giveaway is sponsored by CBS Corporation, DISNEYLAND, KCBS/KCAL-TV, 4200 Radford Avenue, Studio City, CA 91604.